Welcome to our in-depth NordVPN review 2019! We will do our best to help you decide if NordVPN is worth your money. Don’t forget to grab the latest NordVPN Coupon if you want to use their service. Also, NordVPN is among the top choices for the best VPN for torrenting and Netflix in 2019. Among its variety of features, it has a huge network of specialized servers, Kill Switch feature protecting the connection when it is broken, a double encryption option, and a DNS query leaks resolver. And, most importantly, NordVPN strictly follows the policy not to log any network activity. This is possible because the company works under the jurisdiction of Panama where the laws help to protect user anonymity. Find our top VPN-provider alternatives to NordVPN below. One of the most positive aspects we found out in our NordVPN review is that the company is based in Panama and promises not to store any logs or transfer them to third parties. It is important to know that the Internet in Panama is not censored and is not under state supervision. It will protect your online privacy! Of course, NordVPN does not physically have an office in Panama. Many VPN providers practice very interesting and old trick. To register their trademark, they choose a country that is not one of Fourteen Eyes countries. So, the headquarters of these companies are physically located in other countries but the companies are under the jurisdiction of one of the neutral country. 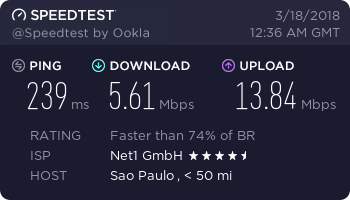 In a case of NordVPN, this is Panama. How does it influence the privacy and security of every user? The fact is that officially no one can force the company to give the user activities logs to the local government of a country that requested them. That is why NordVPN can honestly state that they do not save any user logs. Some other VPN services must provide the private data as they are under the jurisdiction of the country where it is a direct responsibility and must obey the local laws. 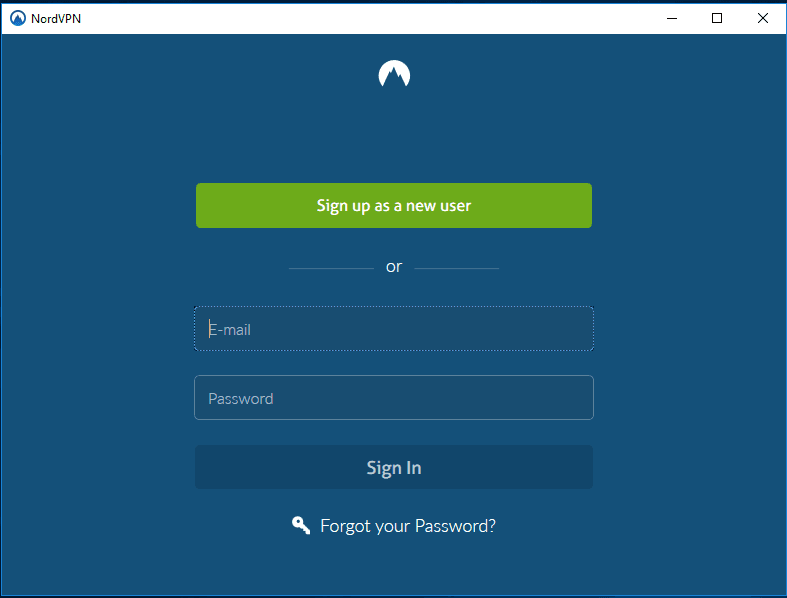 NordVPN uses CloudVPN to register its applications for Android and iOS, as well as for processing PayPal payments. So, NordVPN can safely deny thousands of requests to provide the user data. And this is good. 1. Choose a suitable plan. NordVPN offers 1-month, 1-year, and 2-years plans. The longer period you choose, the more money you save. Basically, each plan costs $11.95 per month but very often the company offers great discounts. For example, as of March 2018 1-year plan is $69, and 2-years plan is $79. That is as cheap as $5.75 and $3.29 per month respectively! At the moment, this is one of the best offers on the market. 2. Create an account. 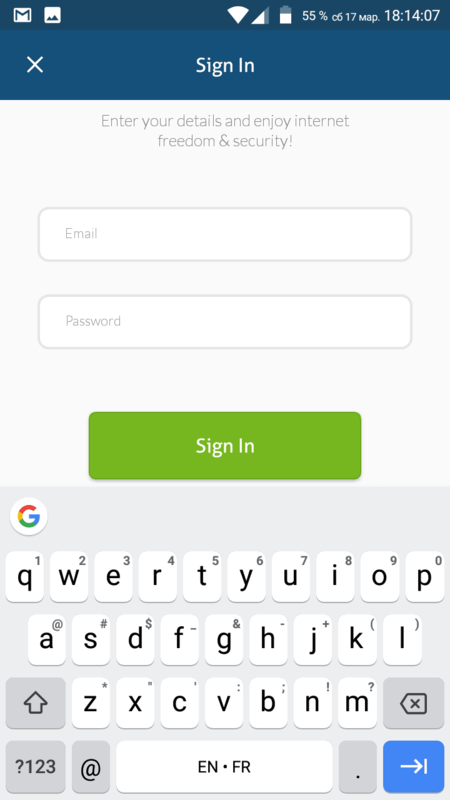 All you need in this step is to type in the email and set up the password. It may even be the temporary one. No one will check and collect it. 3. Choose a way of payment. NordVPN offers the variety of supported payment methods. You can use PayPal, Visa, Mastercard, American Express and Discover card, Bitcoin, Ethereum and Ripple cryptocurrencies and some local payment systems like Alipay, Webmoney, Yandex Money, Giropay, and others. Follow the on-site instructions and create the account. After that, you will get an email to apply all changes and start your subscription. Once you have created an account, your next step is to download and install the client application. 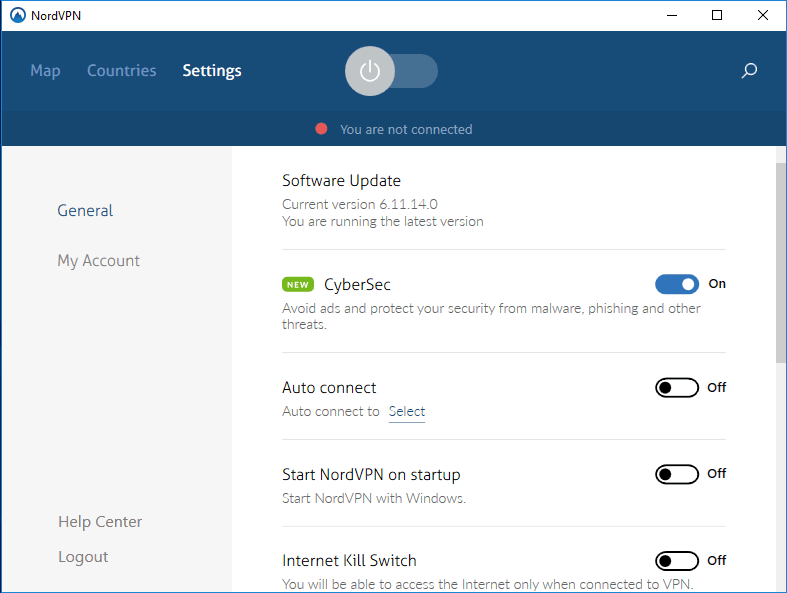 NordVPN provides the apps for Windows, Android, macOS, iOS, and Linux, browser extensions for Chrome and Firefox, as well as Raspberry Pi, Synology NAS, and other NAS devices and routers. The official website has all the necessary links and step-by-step illustrated setup instructions for all supported operating systems and devices. 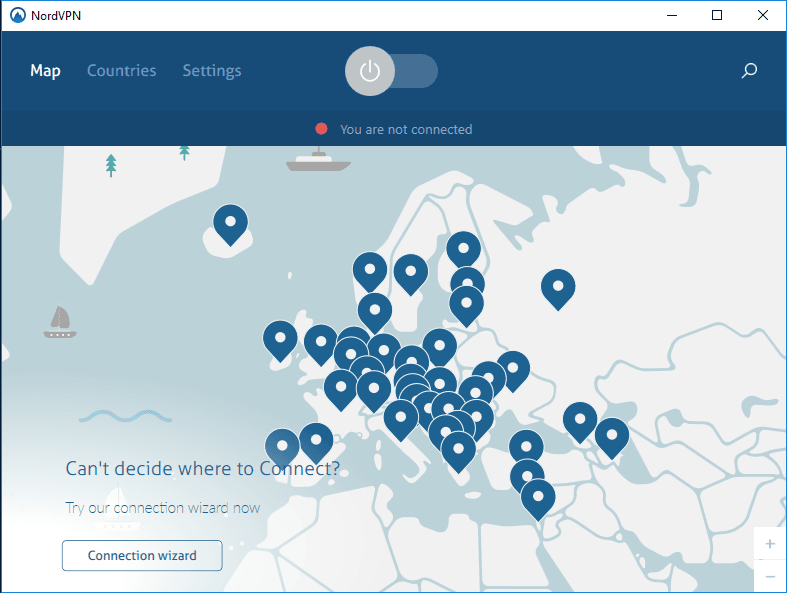 The NordVPN client for Windows is an easy, elegant application, where you can select servers by country or by connection type. You can find the Connection wizard in the corner. It will help you to choose the best server according to your needs. Just check what you will use NordVPN for: security, streaming, P2P or anonymity. Having selected the appropriate server, you just need to click on the connection button and you are connected. In general, this is an excellent solution for those who want security and anonymity, but there is no desire to understand complex settings and configurations. At the top, there three tabs: Map, Countries, and Settings. The first one opens by default and displays the map with all available servers. Countries tab displays the list of all countries. In the last, Settings tab, the user can activate various security options, change the account password and contact support. The mobile application also is very easy, with an intuitive interface. There are two tabs: Map and List, and a Quick Connect button. You will not be able to use the Connection wizard to choose the most suitable server. However, you can select the server manually from the drop-down list. This is a feature that protects the system by blocking any malicious resources and even ads. Due to this, your device will remain uninfected. It providers better browser performance and much-improved security and privacy. How will CyberSec improve your security? Block dangerous sites. 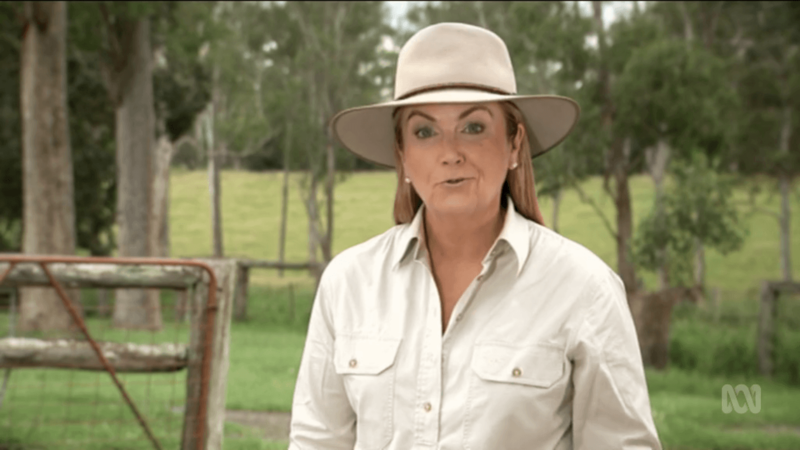 The feature scans the connection and blocks any scams, fraud and fishing websites. The access will be blocked immediately. 2. Protects from botnet control. Some violators use the power of many computers to organize DDoS attacks. CyberSec will protect you from participating in such attacks and block an access to the botnet server. 3. Skip ads. CyberSec hides auto play ads, pop-ups, and other annoying elements. 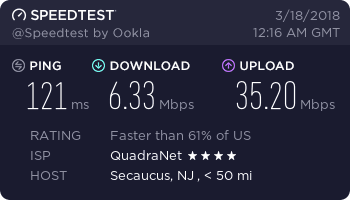 It additionally improves the connection speed as your browser will not load lots of unwanted elements. 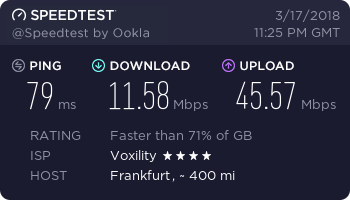 On some servers, you can choose the Double VPN feature. First, you connect to one server, then connect to the second one, and finally, you get connected to the website. It highly improves the security and helps to bypass the local restrictions. In a few words, you will able to connect to the Internet only when NordVPN in on. 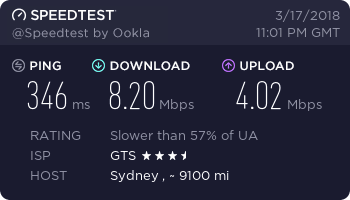 When the connection breaks, the feature will prevent connection directly to the provider. It will help to avoid any data leaks through the insecure channels. The feature is disabled by default, but you can activate it in the settings. The Onion Router (it is also called Tor) is a special network that helps to encrypt the connection and hide the location. When you use standard Tor browser, the internet provider can see that you use Tor network, and in many countries, it is forbidden. NordVPN offers to connect to the special Onion Over VPN server and be absolutely protected. 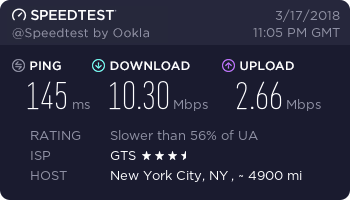 First, the traffic will be sent to the NordVPN server, and then redirected to the Onion Router. The combination of two technologies will hide your IP, DNS, and location, and highly encrypt your connection. You don’t even need to download the Tor browser. 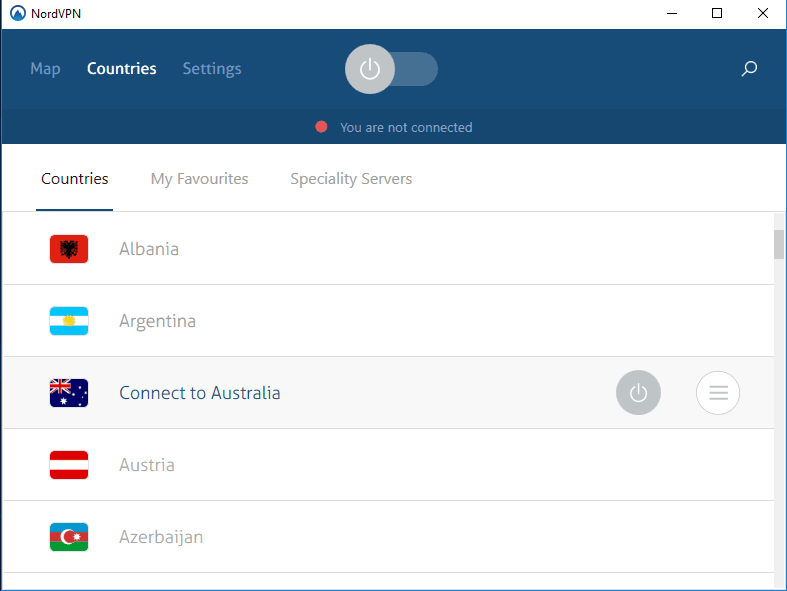 You can find what servers support the feature on the official NordVPN website. When you are in country or territory with strong internet censorship, connect to the special obfuscated server. It will bypass all the limitations and open the window on the world of freedom. 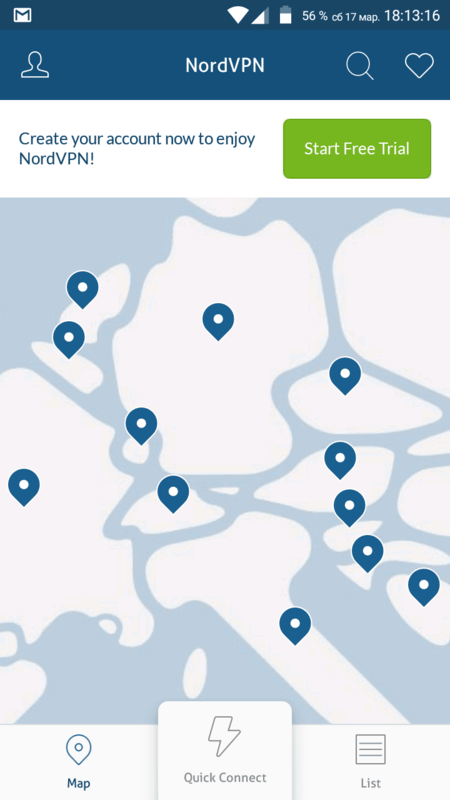 You can find what servers support the feature on the official NordVPN website. 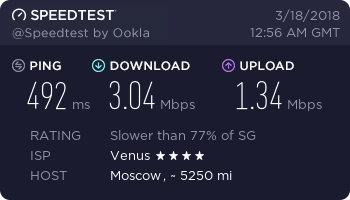 In some countries, the online streaming services may be blocked or the connection will be throttled while trying to use the service. Using NordVPN, you get unlimited possibilities and will be able to watch your favorite shows everywhere. 3522 servers owned by NordVPN are located in 61 countries around the globe. They are located both in popular countries like USA, Canada, Brazil, Great Britain, France, Netherlands, Sweden, Switzerland, Lithuania, Russia, South Africa, Singapore, Australia, and quite exotic ones like Albania, Indonesia, Thailand or South Africa. Depending on your needs, you can choose ultra-fast servers for viewing video content or using peer-to-peer networks, or a VPN with double encryption or access via Tor for increased anonymity, Anti DDoS servers that prevent denial of service attacks, or just plain servers to hide an IP address, encrypt the links and be protected against online activity tracking. 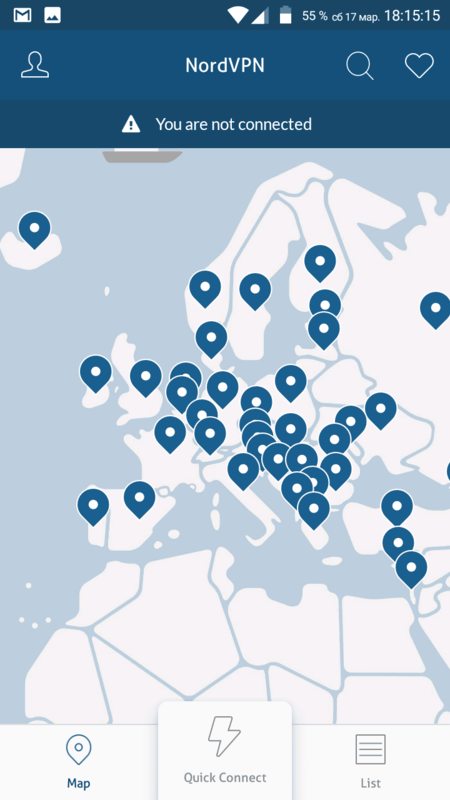 On the official site, you can find the detailed information about all the servers. You will find the full list of them, and what security protocols they support. When choosing a VPN service, is it important to know how much it will affect the connection speed. 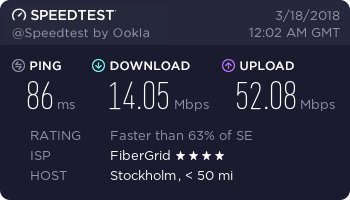 To check how NordVPN is coping with that, we used the SpeedTest service by Ookla. Being physically located in Ukraine, we connected to several servers around the globe and checked the ping time, download and upload speed. 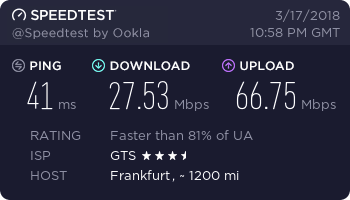 Now let’s check how fast are some random NordVPN servers in different countries. 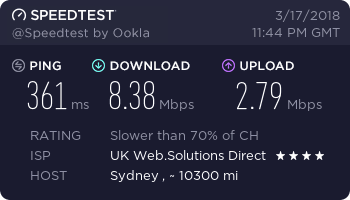 As expected, the download speed through the remote servers was significantly lower due to the physical distance. 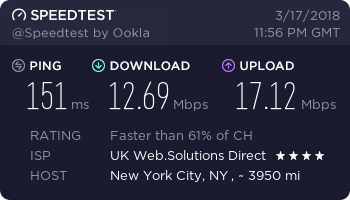 However, there is a choice of fast servers optimized for streaming, that provides a faster connection. If you just browse the pages, you will not probably even notice any speed drop. You can also try to connect to another server or use a wired connection instead of Wi-Fi. The server location. If you just want to hide your IP address, it will be enough to connect to the server closest to you. The farther the server is located, the weaker the connection you get. The time when you connect. 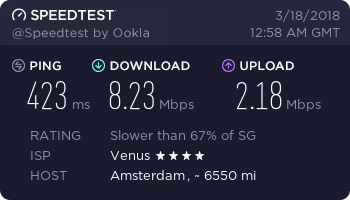 Let us say you are in Canada and connect to a server located in the Netherlands. In this case, the speed will be higher in the evening, and much slower in the morning. How so? When it’s morning in Canada, it’s afternoon in the Netherlands, and the servers are maximally loaded. 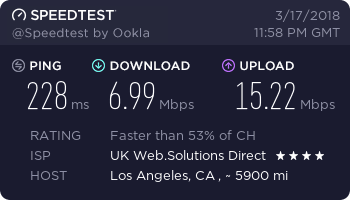 The connection speed varies depending on the time of day and the number of connected users. The number of connected users. 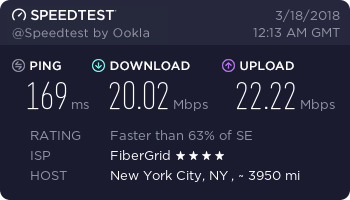 If you are connecting to a server in the US (for example, in Los Angeles), which is used by 1,000 people, then the connection speed will be higher than if you were working through a server in New York, which is used, let’s say, by 2,000 people. The more people are connected to the server, the more it affects the speed. 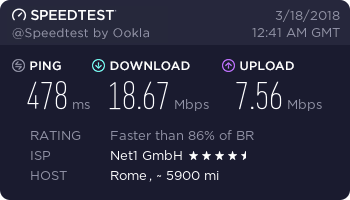 The more reliable an encryption protocol, the slower the connection speed. Want a double VPN? Get ready for a speed drop. 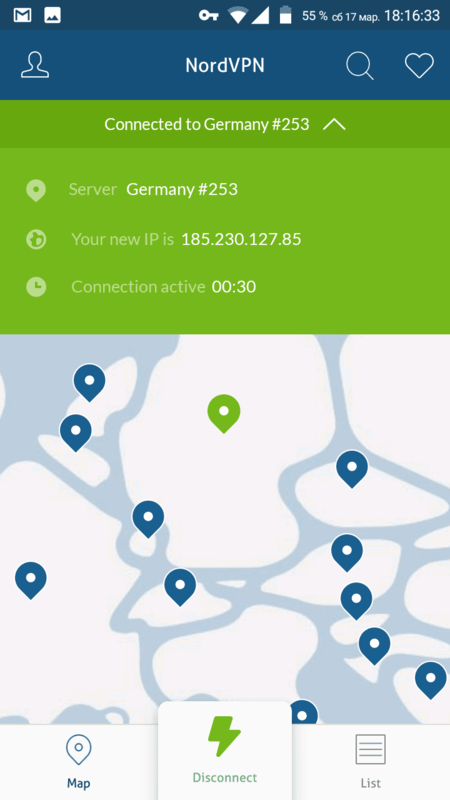 NordVPN invests much money in the server infrastructure development and the connection conditions improvement. 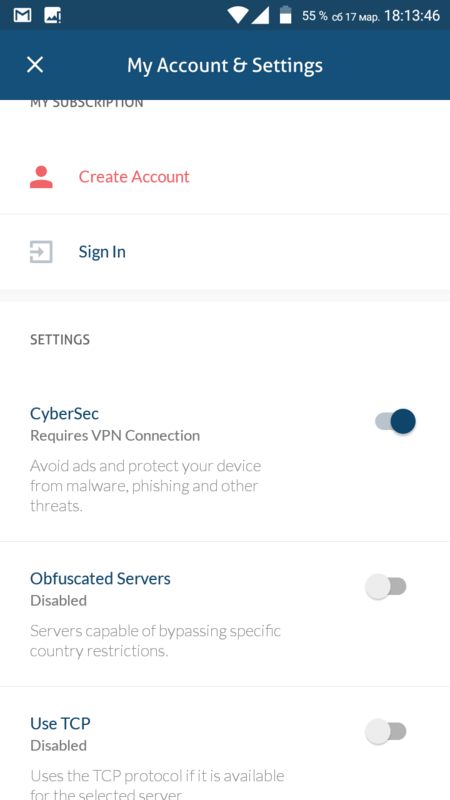 NordVPN uses the following encryption sets: AES-256 for L2TP/IPSec, 256-bit SSL encryption for OpenVPN, and MPPE-128 encryption for PPTP. It means that the user gets the highest level of security. The NordVPN desktop client also has an App Kill Switch, which prevents IPv4 DNS leaking. NordVPN does not save service activity logs. The only user information the NordVPN collects and stores is email addresses, usernames, and payment information. Even the most security-crazy customers can feel fully protected by using anonymous email service and payment systems like Bitcoin, in combination with Tor-via-VPN and double encryption. For those who especially care for security, NordVPN recommends using the OpenVPN and IKEv2/IPsec encryption protocols. The OpenVPN protocol, which uses 2048-bit SSL encryption of military class, is installed by default in the applications for Windows and Android. IKEv2/IPsec protocol which is considered even more secure is used in by default in iOS and Mac OS applications. It uses 3072-bit encryption and the Perfect Forward Secrecy system, which generates a unique secret encryption key for each session. Windows users may consider SSTP protocol as the most stable, but it did not pass an independent audit, so, keeping that in mind, do not forget about the risks. Older PPTP and L2TP/IPsec protocols are far less secure, so they should be used only when the security is not a priority or old hardware does not support new protocols. NordVPN also does not allow DNS servers unencrypted requests using a special DNS address resolver that ensures the security of all requests. We also checked how secure are all the servers we used in the previous heading. The connection is secure and fully protected. There are no leaks. With NordVPN SmartPlay (we mentioned it above), users can access more than 400 streaming services like Hulu, ABC Go, Zattoo, Slacker, Amazon Prime, Startrek, NBC Sports, Cartoon Network, Vevo, WeTV.com, Food Network, Crackle, VH1, Telemundo, TNT Drama, Sundance.tv, DramaFever, Spike, Discovery, PBS, and more. NordVPN uses an encrypted proxy connection (encrypted smart DNS service), which does not require additional configuration. Smart Play automatically redirects requests to view streaming video on the server in the country where the service is allowed. 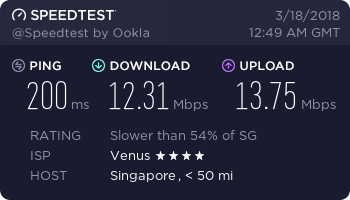 Smart Play is enabled by default and works the same in all NordVPN applications: when connecting to a VPN server, the app determines whether a streaming service is required. In practice, this means that you can watch Netflix from the United States, even if connected to a server outside the United States. Unfortunately, NordVPN Smart Play does not work on devices that do not support the NordVPN client installation: smart TVs, game consoles, and a Roku streaming video player. As you can see, all of them can be easily accessed even from the countries where they are not available. But in some cases it’s necessary to try several servers to watch something on these services. 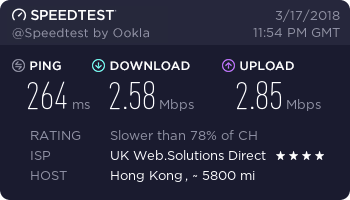 Also, we tried to download the torrent file via a Qbittorrent app for Windows. The results were satisfying. The connection is fast and with no speed limits. 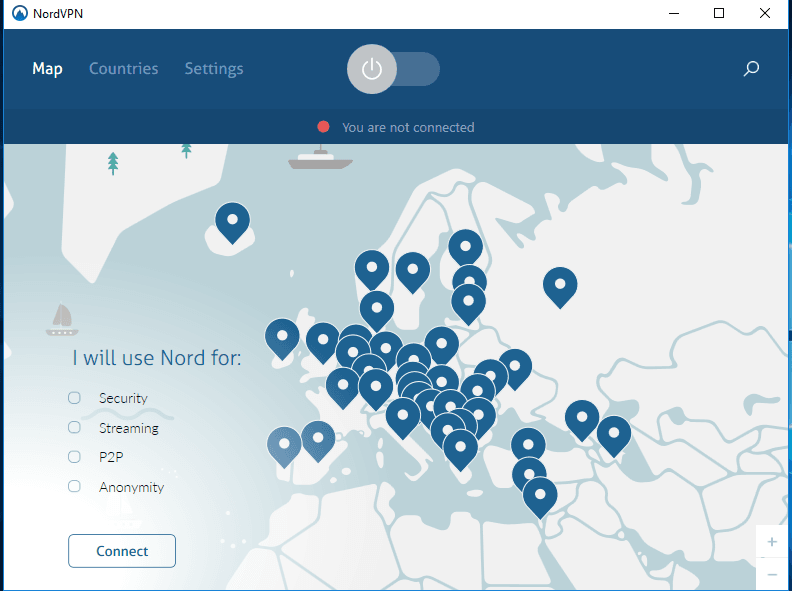 NordVPN has a beautiful and well-organized website, where you can find a lot of information about the features, tariff plans, available servers, and get the technical support. The company provides online chat support for 24 hours a day, 7 days a week, as well as e-mail support and on-site applications. The site also offers a number of free tools, including a list of proxy servers, free proxy, and even a special proxy server for YouTube, which allows you to watch all the videos, regardless the geolocation restrictions. Round a day customer support is available via the web form, online chat, Facebook, Twitter or by email. It usually takes about 5-10 minutes to get a reply, but quite often they react as fast as less than a minute. You have 30 days to stop the subscription and get your money back. In most cases, the users got their money in a couple of days. No. NordVPN does not keep logs of its users’ information, under any circumstances. It maintains its strict No Logs policy. This means that NordVPN does not keep any of your private data. Also, it does not monitor any of your online activity or users’ browsing history. NordVPN is based in Panama, a country without requirements for data reporting and storage. Also, NordVPN can deny third parties requests. Yes, but conditionally. China blocks VPNs thanks to its strict censorship policies. The notoriety of the Great Firewall of China makes it hard to access Facebook and other popular sites, but you can still use NordVPN because of its Obfuscated Servers. These servers will camouflage traffic as normal HTTPS web traffic, allowing you to bypass the Chinese Firewalls. Yes, but only in the United States, the United Kingdom, and the Netherlands. It is blocked for Netflix in Canada. Even then, their customer support team will help you get the right connection to Netflix. While the announcement made by Netflix on its crusade against VPNs and the proxies was a huge success, NordVPN and a handful of VPN services still bypassed the firewall. NordVPN did this by playing it smart with its upgraded SmartPlay technology, allowing its users to access Netflix even with the restrictions. The best bit is that NordVPN updates its users on the regular through its support pages, keeping you informed of the secure access paths to Netflix. Currently, NordVPN lets you stream Netflix from any server through #707-710, 722-725. Yes. Whenever you connect to NordVPN, a VPN tunnel is created. 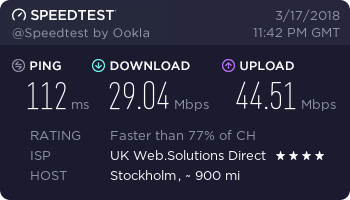 The tunnel is simply a connection between you and NordVPN servers. All data within that tunnel is highly encrypted, and you are the only one who knows about the contents of the information being sent. The encryption is done with a 256-Bit Key which offers an excellent level of protection while maintaining top performance even when using a phone or a netbook. For open connections, it uses AES 256 CBC algorithms. The IKEv2/IPSec ciphers are employed for the generation of the Phase1 keys which are AES-256-GCM and used for encryption. AES-256-GCM is coupled with the SHA2-384 to enhance the integrity of the connection. The latter is combined with Perfect Forward Secrecy (PFS) using the 3072-bit Diffie Hellmann Keys. Is NordVPN good for gaming? 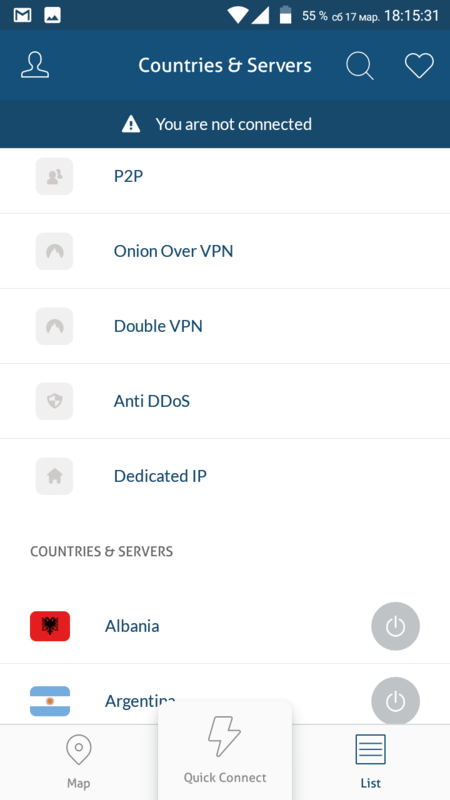 NordVPN is the best VPN for gaming thanks to its DDoS protection, the worldwide access. Since online games get extremely competitive, players play dirty tricks on each other. Using NordVPN, you will be protected from DDoS attacks. The worldwide access ensures that you get access to new games as soon as they are released. 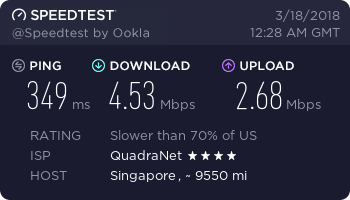 NordVPN is also great for online gaming because it protects you from bandwidth throttling which could mess up your game. 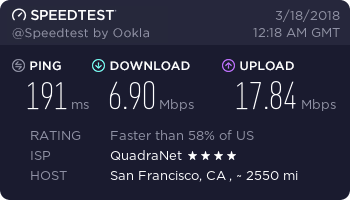 Your avatar’s performance depends on your internet speed, and you don’t want your ISP from messing things up for you. Using DNS requests, NordVPN blocks ads. You could also use Perfect Privacy filters to remove ads and other unwanted domains. Yes, the service itself is legal. The company offers a 3-year NordVPN package for $107.55 for a monthly fee of $2.99, but you will have to pay for the 3-year package once. You could, however, opt for the $11.95 monthly plan. 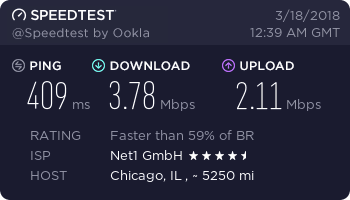 Does NordVPN have DNS leak protection? The NordVPN DNS servers ensure that there are no leaks. However, if you still experience leaks, always ensure that you are connected to the VPN and you might want to clear cookies and the cache from the browser. Does NordVPN work in Australia? 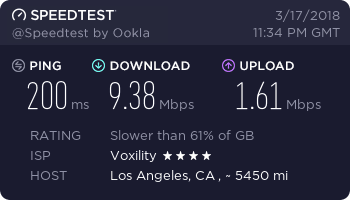 Does NordVPN work on PS4? 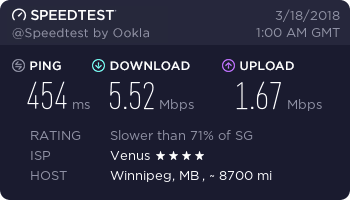 Does NordVPN work in Canada? 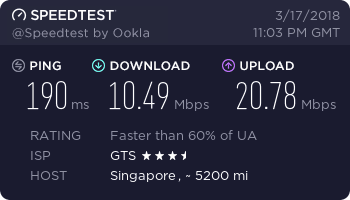 Does NordVPN work in UAE? Does NordVPN work with Apple TV? Servers are offered only by country, not a city. 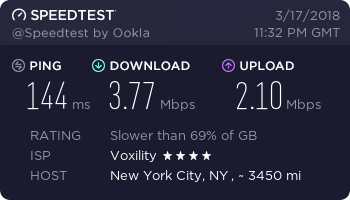 I’m very interested in hearing about your experience with NordVPN. 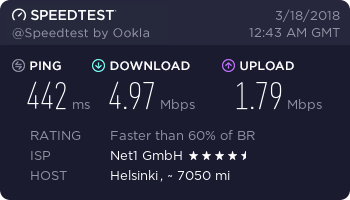 Don’t hesitate to leave a NordVPN review in the comment section!